Faint Expectations: Can You Hear Me Now? Author’s note: In the following post, my use of the word “stupid” is meant just as it is defined in a dictionary (i.e., lacking intelligence). It is not meant to be a name-calling tactic. ...First we saw stupid people en masse file lawsuits against tobacco companies because smokers were somehow “fooled” into taking the initiative to stick cigarettes in their mouths. Cigarettes have been called “cancer sticks” since the 1930s, but these people had no clue that inhaling poison could cause lung cancer. ...Then we saw stupid people—led into battle by filmmaker Morgan Spurlock and his half-witted documentary Super-size Me—go after fast-food restaurants that supposedly made the plaintiffs overweight by offering them fatty food. Sure, the plaintiffs took the initiative to enter the fast-food joints and purchase the food, but it wasn’t their fault, or so they claimed. ...Now the stupid have a new target: Apple, and more namely, their iPod. ...John Kiel Patterson has filed a class-action lawsuit against the technology giant on behalf of all other iPod users, and he wants Apple to cough up some money to compensate for his—and the others’—lack of common sense. Patterson thinks that Apple hasn’t done enough to prevent hearing loss by iPod users who have decided to listen to their music at absurd levels. 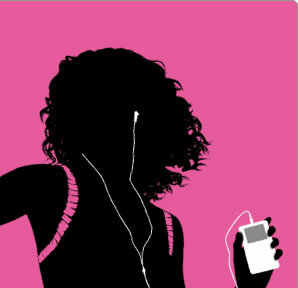 In addition to monetary damages, Patterson’s suit calls for Apple to provide software that will limit the volume of the iPod headphones. Warning: Permanent hearing loss may occur if earphones or headphones are used at high volume. You can adapt over time to a higher volume of sound, which may sound normal but can be damaging to your hearing. Set your iPod’s volume to a safe level before that happens. If you experience ringing in your ears, reduce the volume or discontinue use of your iPod. ...At first, you might be thinking that Patterson (and the other unnamed plaintiffs) simply ignored the warning, because most people who lack intelligence don’t read things. Sadly, no; Patterson actually read this warning, but in his suit he claimed that he wasn’t sure what the terms “high volume” or “safe level” meant. ...I can only hope that a lawsuit as asinine as this is thrown out of court before anyone gives it any credence. If it does succeed, it will be one more nail in the coffin for the concept of personal responsibility. How intelligent a species are we if we have to blame others for our own behavior? Scapegoats have gone from poverty and environment to companies who simply offer the choice of purchasing and using products, whether they’re chemicals, food, or technology. ...Some of us like to think that all people are equal, but as long as we continue to see members of our society who are lower on the intellectual totem pole, such as Morgan Spurlock and John Kiel Patterson, we know that such a situation isn’t the case. ...Put out the cigarette, put down the Big Mac, and turn down your headphone volume. It doesn’t take a lawsuit—or even much intelligence—to figure that out.